Pupils from Deaf Hill Primary School have been working hard to help improve their local village. The school provided funding for the purchase of 10 planters, which they filled with crocus bulbs and then presented to residents of Tobin Street. Full story here. On 15/12/2014 Aaron Maddison, 24 years, of May Crescent, Trimdon Station, was arrested on suspicion of burglary x3, a public order offence and traffic offences. Maddison was later charged with these offences and Bail was refused and he appeared before Peterlee Magistrates Court where he was remanded in custody until 05/01/2015, when he will appear before Durham Crown Court. On 09/12/2014 Christopher Barnett, 24 years, of Wood View, Trimdon Station, was arrested on suspicion of the burglary of the butchers shop, Blackhall (on 03/12/2014). Barnett was later charged with this offence and one of domestic assault. Bail was refused and he appeared before Peterlee Magistrates Court where he was remanded in custody until 05/01/2015, when he will appear before Durham Crown Court. Pupils from Trimdon Junior School joined Digital Durham to discover what better broadband at home will mean for them and to explore the fibre broadband bus. Read more here. Photos from the Memorial Gardens in Trimdon Station, provided courtesy of George Ford. Go to the gallery here. from Jim Grigg, chairman of Deaf Hill Ward Regeneration Partnership. Read here. A local dance school based at Deaf Hill Primary School and Trimdon Grange Community Centre recently competed at The East Coast Championships Dance Festival, and came home with 60+ trophies / prizes and numerous titles! Details here. 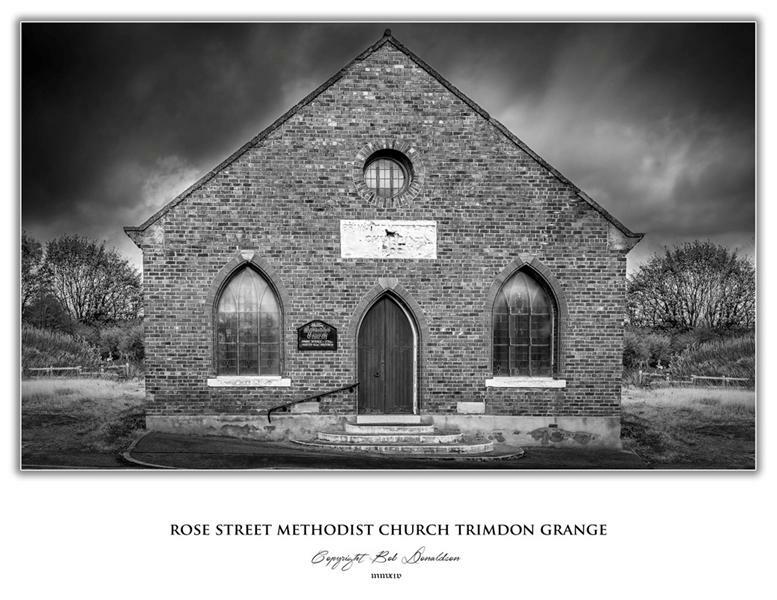 Trimdon Grange Methodist church, in Rose Street, closed its doors for the final time today, Sunday 26th October 2014. Trimdon Station and Deaf Hill Memorial Garden, Wingate Road; the Parish Council remains committed to getting the Memorial Garden Project finished and currently believes the garden will be fully completed and ready to open in the near future. 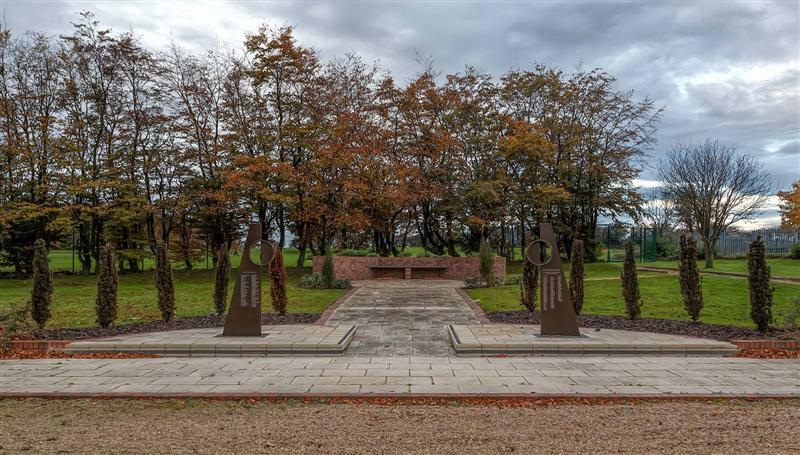 As this coming week sees important dates in the Great War Centenary commemorations the garden will be made available for private reflection and remembering the fallen on Remembrance Sunday, 9th November and Armistice Day, 11th November from 9am-4pm. The annual act of remembrance and wreath laying for the Trimdons will take place at 6pm on Sunday 9th November. The service will be accompanied by Trimdon Concert Band and will include the reading of the names of the fallen. The service will take place in St William’s Church this year to coincide with their 150th Anniversary. All are welcome to come along and remember the 269 Trimdon men who have died on active service since 1914. This year is marks the 100th Anniversary of the Great War and an exhibition of memorabilia by Eileen Dickinson and Adam Luke will follow the service. The two minutes silence in memory of the men who died in the Great War, a century ago, will be observed across the Trimdons on Tuesday 11th November. We especially remember the 198 men from the Trimdons and Deaf Hill who lost their lives. All are welcome to attend. A matching pair of war memorials have been installed in Trimdon Village’s two churches to coincide with the centenary of the outbreak of World War One. On Thursday 6th November (tomorrow) I, Edward J Gunn, ask you not to vote for me but to use your vote for Sheila Scott, an independent voice for our local parish council. Sheila Scott won’t be answerable to a wider national party and will be a truly independent voice for our local community which currently, with only one seat left, is 100% labour. On Thursday last week 12% of our community voted in two more labour candidates. At this count I witnessed, from some of the labour councillors who represent our local community, behaviour that could be interpreted as intimidating; I also witnessed behaviour that, using their words, was ‘like being in a crèche.’ On Thursday this week I will be voting for Sheila Scott. She will not only continue to work hard putting our local community first and listen to what we want, but will also be able to hold our local parish labour councillors in check ensuring they work for the benefit of our local community. I am standing for tomorrow’s election because I want to make a difference. A vote for me tomorrow is a vote for change and improvement. My husband Eddie and I love Trimdon Station and Deaf Hill but we want to see action. I’m not interested in playing political games or resorting to desperate lies like the other candidates. I’m interested in championing your priorities, the things you have told me time and again in recent weeks. If you put your faith in me tomorrow I will work tirelessly to unite all areas of this parish into one community, ensure resources are allocated fairly and fight anti-social behaviour by improving facilities for our young people. We need change in Trimdon Foundry and if I’m elected tomorrow we can achieve it by working together. Notice is hereby given that: 1. A poll for the election of a Parish Councillor for Trimdon Foundry Parish will be held on Thursday 6 November 2014, between the hours of 7:00 am and 10:00 pm. 2. The number of Parish Councillors to be elected is one. Download PDF here or click picture to view. There are to be two elections for Parish Councillors at Trimdon Foundry, one on 30th October 2014 to elect 2 councillors, and one on the 6th November to elect a further 1. These elections are due to the resignations of former Cllrs. L Grigg, J France and J Grigg. Details of those standing for election will be available shortly. Due to the cost to the Parish of these elections (they will be the second and third this year, and the first one cost in the region of £3500) there will be no Poll Cards issued, so please check this website for any further updates. The Parish have appointed a new Clerk, Mr Geoffrey Price, who is currently Clerk to Coxhoe Parish Council. He will be taking on the Trimdon Foundry job in addition to the Coxhoe one. The Acting Clerk, John Irvine, will be working with Mr Price for two weeks on a handover. Please use your two votes in tomorrow’s election for change by voting Labour. We are the two candidates who have the knowledge, experience and contacts to bring that change. We have listened to your concerns and made them ours: making the parish council work for you, working for safer and cleaner streets and campaigning against rogue private landlords. Being members of the Labour Party we aim to build a stronger and fairer community but we are individual members of this community too and have its interests at heart. We will work tirelessly as part of your Labour Team to do the best for our community. Use your voice tomorrow and give change a chance. Please vote tomorrow (30th October) for Edward J Gunn and Shiela Scott your independent candidates. We will do all we can to support our hard working local volunteers and the service they provide. We will work hard to find solutions to tidy up problem properties which distract the area. We will listen to issues rather than impose what we think should happen and will keep politics out of the Parish as it is about doing the best for our Community. Please make your voice heard tomorrow, and use your vote to support our local community by voting for: Edward J Gunn and Sheila Scott. Thank you. 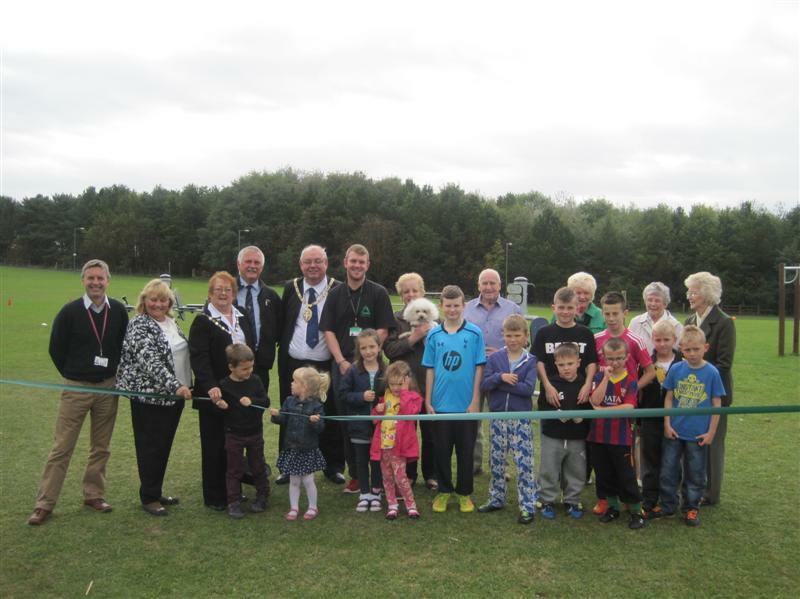 Photos from the official opening of Trimdon Colliery outdoor gym on Saturday 27th Sept.
“Trimdon Times” was suggested as the title for a new quarterly magazine produced by Trimdon Village Hall and announced as such on their facebook page on 1st August 2014. This new publication has no connection at all with the Trimdon Times website or Trimdon Times facebook page, and I am now told it will be named “Trimdon News”. Their facebook announcement has been updated to reflect this. The magazine is expected to be published in September. After the massive success of Push 4 Darcie, Thai Boxing World Champion, Jordan Williams would like to show his support for the charity 4louis, with his own event Box 4 Darcie. Box 4 Darcie is an event where “thai boxers” with relatively no experience enter the ring, in the name of charity. The event is taking place on September 27th 2014, at the former St Lukes Church, Winterton. Ticket sales have proved very popular and the event looks as though it is going to be seen by an audience of over 250. A statement from ex-chairman and councillor Jim Grigg regarding recent resignations by parish councillors and the parish clerk. Full statement here. Also see Northern Echo article on the resignations. 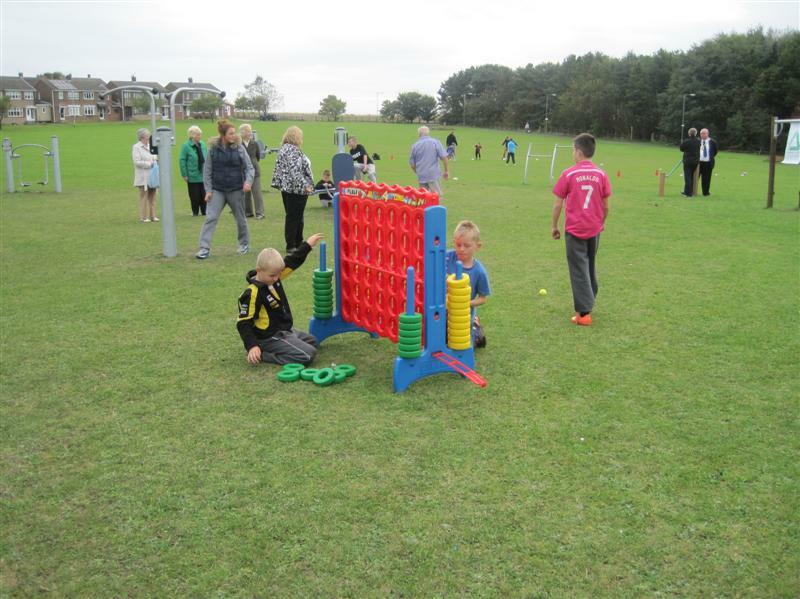 The Trimdon Colliery outdoor gym is officially launched Saturday 27th September at 1pm. More details on poster. Trimdon Colliery woman Rachel Large, 39, left her home in Langdale Oval shortly after midnight on 11th September and Police are asking anyone who might have seen her at any stage today to contact them on 101 or, if it is an emergency, 999. Full article in the Hartlepool Mail. Trimdon Foundry parish councillors failed to attend a meeting arranged for Friday 29th August, prompting a written complaint from a resident who did attend. Full details here, updated 1st September 2014. At the meeting held on Tuesday 12th August 2014, councillors Larraine Grigg and Joe France tendered their resignation with immediate effect. The Parish Clerk Kay Tweddle also resigned at the same meeting, but will continue working until 24th August. 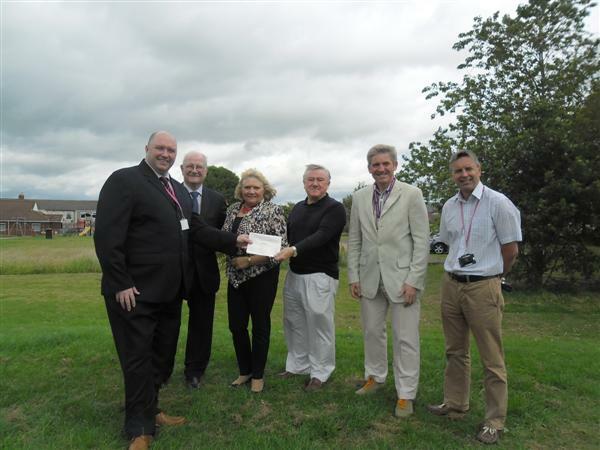 Trimdon Colliery Community Association will been able to go ahead with an outdoor gym project after receiving funding of £5,000. A service to commemorate the centenary of the outbreak of the First World War will take place on Monday 4th August 2014 at 22:30 at St Mary Magdalene Church, Trimdon Village. The service will remember all 198 men from the Trimdons, Deaf Hill and Kelloe Winning killed in the Great War. All welcome. New custom designed gates for Trimdon Village Cemetery were blessed by the Reverend Michael Gobbett during a service of dedication. Details here. The Warm Home Discount Scheme is now in its fourth year but there is still a lack of awareness of the help available through the scheme and also some confusion about entitlement. Details here. The committee of Trimdon angling club would like to thank the 3 non-members who on Saturday 12th July saw some weed removal work being carried out. They offered to help and did so with gusto. Our thanks, as the saying goes many hands make light work. We hope you will continue to enjoy your dog walking and keep fit walking exercises around the pond. p.s Photos from the Gala have been posted on the Photo galleries, also Video Clip1 and Video Clip 2 courtesy of George Ford. Plans for 30 houses adjacent to Broadway Avenue, Trimdon Village have been rejected by planning officers. Full story: Northern Echo. Various grants available from Durham County Council for owners of empty houses in our area, also owner occupier. Information here. 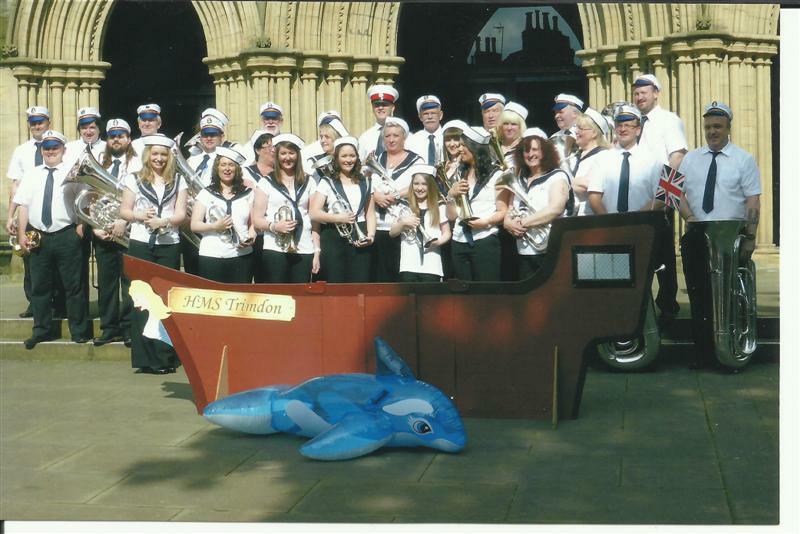 T he band came first out of fourteeen bands competing for the title of ‘Best Entertainment’ at Ripon Cathredral on Saturday 31st May. Deaf Hill Ward Regeneration Partnership would like to clarify some points published in a recent leaflet circulated in our village that may mislead people about investment in Trimdon Station Community Centre. Full statement here. There seems to be many rumours, hearsay and gossip about what goes on in the Trimdon Station Community Centre. Rather than people have any misconceptions of what goes on, why not call in and find out instead of making things up? People mention ‘there is nothing for children and young people’ – we hold sessions Monday, Tuesday and Thursday, with additional session throughout the holiday periods. ‘Where are the snooker tables?’ – these went many, many years ago! ‘The Miners pay for the running of the Centre’ – while the miner’s subscriptions did originally pay for the Centre, the Centre is now funded from activities, grants and external funding, a lot of which would not happen if it was not for the hard work of our volunteers and staff, with our manager often working in excess of 40 hours for the benefit of the Centre and Community. Please call in and find out the correct information. Talk to Derek or Jo who are more than willing to help. On the morning of Tuesday 27th May 2014 between 01:20hrs and 01:30hrs windows have been damaged at properties on Saint Paul’s Rd and North Moor Avenue, Trimdon Colliery. An unknown male has been seen leaving the scene near to North Moor Avenue on a BMX style bike and a hooded top. 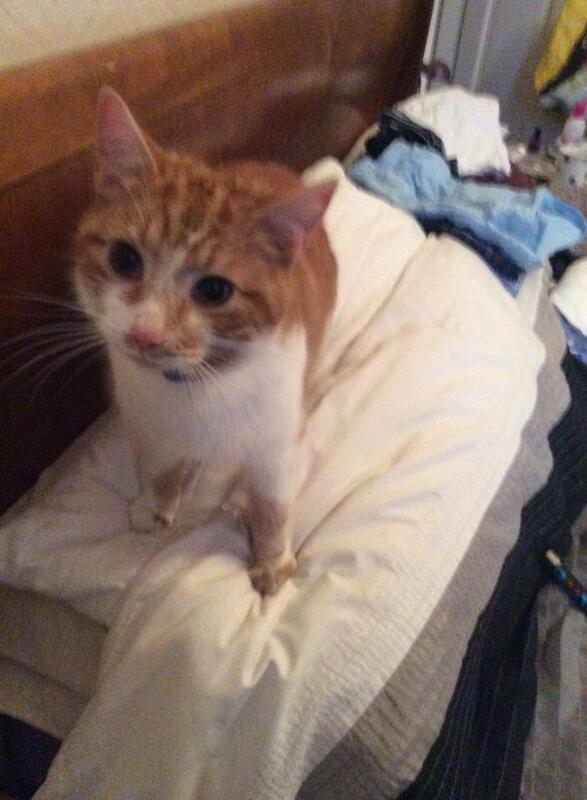 It is suspected this male may have had a catapult. Anyone with any further information please contact Police and quote DHM-27052014-0058 or DHM-27052014-0052. The team have made it to top of their league again for the second year in a row and the presentation awards were at the Tennis Club, Middlesbrough on Thursday 29th May. They travelled in style using Hartlepool United’s Team coach for the evening, and were treated like super star football players for the night. On the afternoon of Thursday 15th May 2014 between 3pm and 6.30pm we are aware that a male and possibly two females have been going door to door in Trimdon Village in an attempt to offer free Loft Insulation as part of a Government scheme. During this time a property in Cleveland Avenue has been subject to a sneak burglary during which numerous items of property were taken. Can anyone who had door step sales people to their home on that day during these times and/or have CCTV please contact us. Anyone who has been going door to door offering Loft Insulation legitimately please contact us. Please quote DHM-15052014-0455. Local Police contact details here. Trimdon Grange Community Centre intend to set up a new food and craft market in Trimdon Grange. 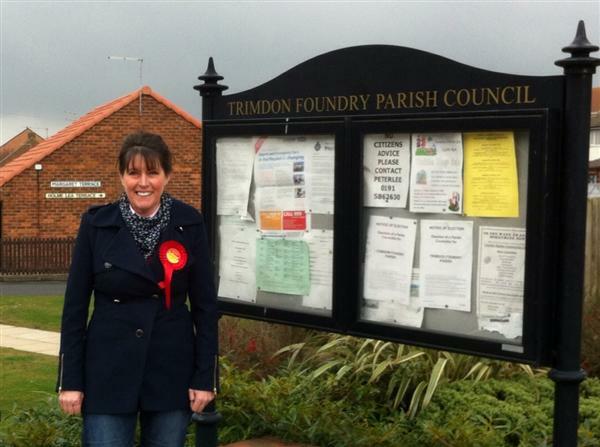 Labour candidate Margaret Eadsforth has been elected as Parish Councillor in the Trimdon Foundry Parish Election on 8th May. Margaret polled 201 votes against Derek Bradley’s 123 on a 34% turnout. A message from Margaret can be read here. I would like to take this opportunity to thank all those who have helped and supported me during the Parish Election, I will continue to work for the community. I would like to congratulate Margaret Eadsforth on her success, and hopefully everyone can now look forward to Margaret to start working and delivering her promises to the people who live in Trimdon Foundry. An open letter from another resident Pat Chatterley regarding Parish Council guidelines: here. An open letter from Trimdon Station resident Gerry Moroney: here. D erek Bradley, well known as the manager at Trimdon Station community centre, is standing as Independent in the local Parish Council elections on May 8th 2014, the only other candidate being Labour. Read more here. Multiskills and Multisport weekly sessions are taking place Wednesdays 3.30pm – 5.30pm between 30th April and 27th August 2014 (provisionally). These will be aimed at age groups 8-11 years and 11 plus, and the sessions are free. Lead flashing was stolen from a number of roofs in Trimdon Colliery over the weekend of 8-9th March 2014 so keep a watch out as your roof could be next! 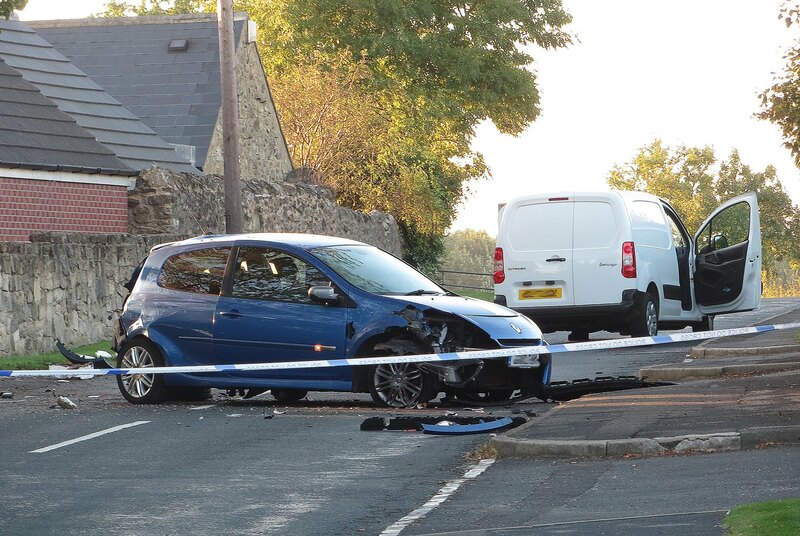 Sedgefield Police are investigating. Full article from the Northern Echo. shows pages from the section you are currently in.